If you have an aging senior loved one who could benefit from home care services, you may naturally be wondering if your family can afford it. Luckily, there are numerous options to pay for home care. But everyone’s situation is unique and financial options will vary. From reverse mortgages to Medicaid, the market has responded to the growing need for different types of senior care with an increasing number of alternative financing options. Let’s explore several creative ways financial resources can secure home care while alleviating the cost burden on your family. Remember that each of these options may have both pros and cons. Consider the solutions carefully, and whenever possible, work with a vetted, trusted financial professional who is knowledgeable about these options. For example, an elder law attorney can be a valuable partner in the financing process, particularly as it relates to Medicaid. Borrowing against the equity, your parent receives either a single lump sum, monthly installments or a line of credit from the lending bank. The loan does not have to be paid back until the last borrower either passes away or moves away from the home for a full year. Your parent(s) will pay back the total loan amount plus interest once the home is sold. There are no restrictions on how the funding can be used; a monthly installment plan may be ideal for paying a home care provider. While your parents are living there, they still retain ownership of the title and property. While a reverse mortgage doesn’t affect eligibility for Medicare or Social Security, eligibility for Supplemental Security Income (SSI), Medicaid and Veterans’ Pension could be affected. Seniors cannot be forced out of their homes by a lender, and they can never owe more than what the house is worth. To start the loan process, you must first meet with an approved reverse mortgage counselor who can help you determine if it's the best option. To locate counselors and set up a phone or in-person meetings, check the HUD website or call 800-569-4287. To find an FHA approved lender, review this HUD Lender List. While Medicare only covers home care intermittently — and only if skilled home health care is required (though the Medicare Hospice Benefit for people with Alzheimer’s or dementia can be used for home-based companion care) — most states have a waiver program through Medicaid, so seniors can receive custodial (non-skilled care) at home rather than in an expensive nursing home setting. Income and assets determine Medicaid eligibility, and each state has different levels, making it a very complex system to navigate — even by those who are in the system or work for state government. What's available under a Medicaid waiver program varies widely among states as well. For a state-by-state breakdown of what home health services are covered under Medicaid, such as home health aides and medical supplies and equipment, refer to this Kaiser Family Foundation chart. To view Medicaid Home Care benefits for 2018, consult this chart from PayingforSeniorCare.com. Elder law attorneys are well versed in the nuances of Medicaid and can help with the financial planning around it. Ask at your local Area Agency on Aging office as well, as they may be able to determine other local planners/professionals who are qualified, vetted and have expertise in applying for Medicaid. If Dad was paying less for prescription medications, utilities and food, perhaps he could more easily afford home care. Check out Benefits Checkup, a practical, free tool from the National Council on Aging (NCOA) that uses your zip code to identify federal, state and local benefits for which your parent may be eligible. The array of benefits covers everything from housing to health care, nutrition to tax relief, veterans’ programs to employment assistance. When a senior loved one has a shorter life expectancy but is not terminally ill, he or she may be eligible for disbursements from a life settlement account, otherwise known as a senior settlement. Whoever has purchased the policy pays all future premiums and collects death benefits (or face value) when the policy matures. Life settlements can be taxable and receiving the lump sum of cash may disqualify an older adult from Medicaid benefits. While benefits are typically paid within 6-12 weeks of the broker initiating the sales process, a medical exam (or sharing of medical records) may be required — and this part of the process often causes the most significant delay in benefits disbursement. Most people partner with a broker for the advantages of managing the complicated process and negotiation of competing offers, instead of selling the policy themselves. If your loved one is a veteran, he or she — and his/her spouse — may be eligible for many veterans’ benefits, including the Aid & Attendance program, which can be used to pay for home care. Learn more about this valuable, though often underutilized, benefit in this video from the U.S. Department of Veterans Affairs (VA). Learn more about your or a loved one’s eligibility through your local Area Agency on Aging (AAA), which you can find via ElderCare.gov’s Locator service. Another excellent resource for finding financial support options is the Eldercare Financial Assistance Locator. 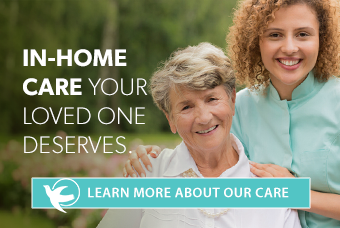 And for more information on paying for home care services, click here.